On June 8, 2016, the Centers for Medicare and Medicaid Services (CMS) issued an announcement noting that they were again considering expanding the Medicare Set-Aside (MSA) voluntary review process to include the review of proposed liability insurance (including self-insurance) and no-fault insurance plans. CMS noted that the agency would work with the community to identify how to best implement the potential expansion. CMS provided no further details, but noted that future announcements and town hall meetings were anticipated to follow. 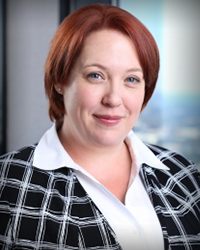 In the year following this announcement little was heard from Medicare regarding the development of potential liability (LMSA) and/or no-fault (NFMSA) processes. The community waited to hear further from CMS as to potential guidelines or proposed thresholds, but Medicare remained largely quiet. If the reader will recall, this is not the first time that CMS has contemplated a more “formalized” process of liability review. Back in June 2012 CMS published an Advanced Notice of Public Rulemaking (ANPRM) in the Federal Register which sought public comment regarding a series of proposed options for formal liability MSA review. The MSA industry reacted strongly offering a good number of comments and proposals, along with quite a few objections. For some time the process was delayed. Then the process formally stalled in October 2014. CMS rather quietly submitted and then withdrew a proposal entitled “Medicare Secondary Payer and Future Medicals” after it failed to gain approval from the Office of Management and Budget (OMB). Nothing further was heard until CMS issued their more recent announcement in June 2016. Since re-opening the issue in June 2016, we have not been presented with any formal guidelines. There has not been any ANPRM in the Federal Register and no formal request for additional comment. 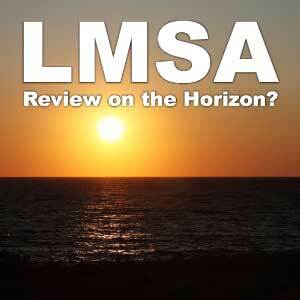 However, CMS does seem to be moving toward LMSA and NFMSA consideration or review. CMS solicited bids for a new Workers’ Compensation Review Contractor (WCRC), and in September 2017 awarded the new contract to Capitol Bridge, LLC. It is largely believed that the new WCRC will be responsible for reviewing not only workers’ compensation plans, but liability MSAs as well. The WCRC bidding proposal requested information regarding the ability to review not only WCMSA plans, but LMSA plans as well. Additionally, the contract awarded includes a budget increase that is rumored to be the result of the additional work related to the LMSA/NFMSA review. As a result, it was anticipated that we would be presented with information related to LMSA/NFMSA review by October 2017. However, so far we have not heard anything. It seems that two of the bidders not selected by CMS have filed a formal challenge to the Award, which appears to be holding up the process. This is anticipated to create a delay into late December. As such we remain in a hold pattern as to whether LMSA/NFMSA will be implemented, as this relies heavily upon the review contractor to assist in determining guidelines. In the interim, CMS has continued to assert that their interests should be accounted for in any significant settlement involving a Medicare beneficiary, whether the claim resolves under workers’ compensation, liability or no-fault. In supporting this CMS has specifically directed several memoranda toward the medical community, aimed at informing providers as to Medicare’s interests. On June 9, 2017 CMS issued a memorandum to health care professionals via the Medicare Learning Network, MLN Matters. The memo noted that Medicare contractors will begin to deny payment for items and services that should be paid from a LMSA or NFMSA, as under the Medicare Secondary Payer Act Medicare is precluded from making a payment where the same “has been or can reasonably be expected to be made under a workers’ compensation plan, an automobile or liability insurance policy or plan (including a self-insured plan), or under no-fault insurance”. The Centers for Medicare and Medicaid Services (CMS) continues to consider expanding its voluntary Medicare Set-Aside Arrangements (MSA) review process to include liability insurance (including self-insurance) and no-fault insurance MSA amounts. CMS will work closely with the stakeholder community to identify how best to implement this potential expansion of voluntary MSA reviews. Please continue to monitor CMS.gov for updates and announcements of town hall meetings in the near future. Clearly CMS is continuing the process of considering whether they want to establish a more formal system of voluntary liability plan review (or simply development), and how to do so. We anticipate that they may move forward as soon as the new Workers’ Compensation Review Contractor (WCRC) is up and running. In the interim, CMS currently will “allow” each of the 10 Regional Offices to undertake review should they opt to do so, but there is very limited actual review at this stage. The offices do not as a practice have resources devoted to the process and typically note that “resource constraints” limit their review. Despite the lack of a current formal review process, informally Medicare has stated that a MSA should be considered in any significant liability settlement and that Medicare should be notified of any and all settlements involving a Medicare beneficiary. As such, if you have a liability case involving a Medicare beneficiary (or a significant case in which know the Plaintiff will immediately become a beneficiary), the parties should consider whether or not Medicare’s interests need to be contemplated in the matter. The parties should contemplate whether a MSA should be included in the claim, whether or not formal review thresholds are available from Medicare at this time. Plaintiff especially should be aware that he/she should likely anticipate future denials from Medicare and anticipate that Medicare will require proper exhaustion of the MSA before they are likely to agree to step in as primary payer. Medicare is paying attention to post settlement medicals and whether or not the parties have protected the government’s interests under the Medicare Secondary Payer Act, and we expect to see more of this in the future. Of course, stay tuned as we may likely see further guidance regarding LMSA/NFMSA in the very near future. Please reach out to us at 404-926-4160 with any questions.